Vietnamese Ambassador to Japan Nguyen Quoc Cuong has urged Japan’s law enforcement agencies to soon conclude investigation into the death of a ten-year-old Vietnamese girl named Le Thi Nhat Linh, and strengthen evidence to bring the suspect to trial. At a meeting with Shigeki Takizaki, Director General of the Southeast and Southwest Asian Affairs Department under Japan’s Ministry of Foreign Affairs, on February 2, Cuong said Linh’s family is collecting signatures at home and abroad to appeal to the Chiba prefecture court to hand down the highest penalty to the culprit. In reply, Takizaki once again expressed his deep sympathy to Linh’s family and informed the ambassador that during a reception for Japanese State Minister for Foreign Affairs Kazuyuki Nakane on January 30, Vietnamese Deputy Prime Minister and Foreign Minister Pham Binh Minh also asked the Japanese side to promptly bring the case to court. The Japanese Foreign Ministry then had a working session with the Ministry of Justice on the issue. According to the Justice Ministry, Japan’s law enforcement agencies are urgently preparing procedures in order for the trial to take place soon in line with Japanese law. Takizaki also further explained the judicial independence in Japan’s Constitution, noting his hope for an early trial and that the culprit will receive deserved punishment. The same day, Ambassador Cuong visited Linh’s family in Chiba Prefecture and affirmed that the Vietnamese Embassy will continue to work to protect legitimate interests of the family. He said the embassy’s officials have kept regular contact with Japanese law enforcement agencies to receive updated information about the case and ensure citizen protection. 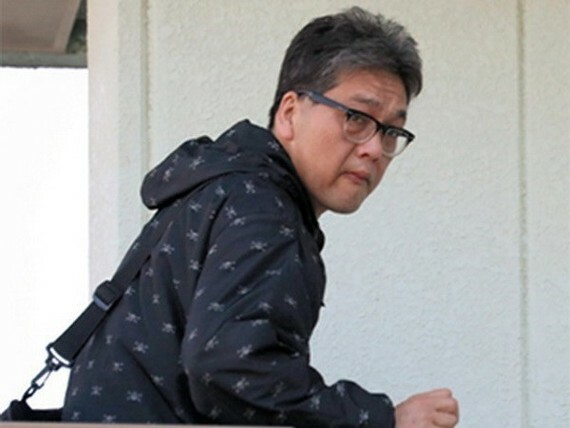 According to the Chiba prefecture court, the date for the trial will be decided after the investigation process and dossier preparations conclude, scheduled on March 5. Under Japan’s law, the evidence collection process will last about eight months if the suspect admits his crime and about 12 months if he denies. Le Anh Hao, Linh’s father, expressed his hope for an early and fair trial to contribute to preventing similar crimes in the future. Japanese Prime Minister Shinzo Abe and the Speaker of the House of Representatives and the President of the House of Councillors have also extended their deep sympathies publicly to Linh’s family over her death. Japanese Ambassador to Vietnam Kunio Umeda visited Linh’s family in their home province of Hung Yen. On March 24, 2017, Linh, a third-year grader at the elementary school in Matsudo, went missing after she left home in Matsudo to go to school as usual. Two days later, she was found dead without clothes at a site near a drainage ditch which is about 10-12km from the school. The police believed Linh was kidnapped right after leaving home at 8 am on March 24. Besides an injury on her head and garrote marks on her necks, Linh also had an injury on her wrist and scratches on her body. Japan arrested Shibuya Yasumasa, 46, a suspect in the murder, on April 14. Chiba police made the arrest after his DNA test matched the DNA sample found on Linh’s belongings. Prosecutors of Japan’s Chiba prefecture on May 26 decided to prosecute Yasumasa Shibuya.